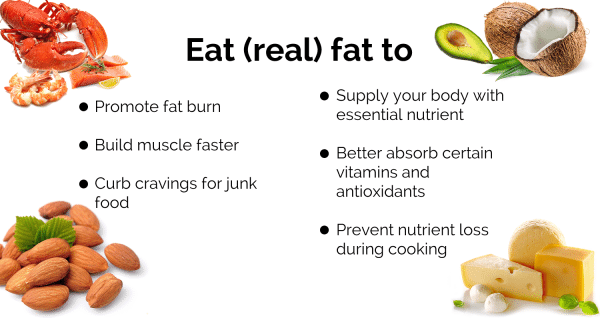 Fats help in the absorption of Vitamins A, D, E, and K which are are fat-soluble. because it plays a role in keeping our hearts healthy. Use sparingly since these oils are susceptible to oxidation. 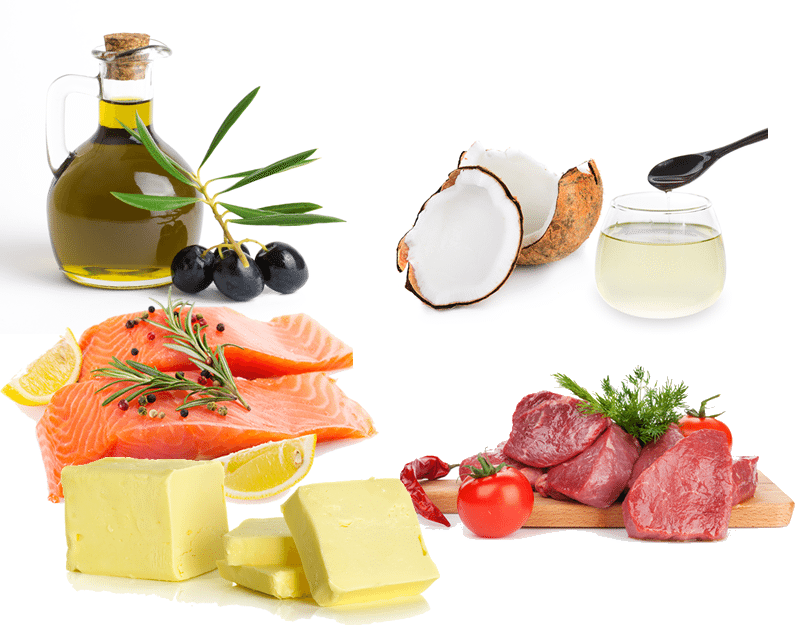 Polyunsaturated fats contain the essential fatty acids (EFAs) omega-3 and omega-6. The brain is made up of 60 percent fat, the biggest portion of which is an omega-3 fat called docosahexaenoic acid (DHA for short). Your brain needs DHA to spark communication between cells. EPA fatty acid is good for the eyes. Omega-6 fatty acids (Linoleic acid) are found in safflower, sunflower, corn, canola,soybean, cottonseed, and sesame oils. These fats (omega-3 and omegas-6) are required to make substances called eicosanoids, which are hormone like substances that affect blood pressure, immunity, inflammation, contraction of smooth muscle tissue (such as your heart), and more. It provides the structural components of myelin, the fatty insulating sheath that surrounds each nerve fiber, enabling it to carry messages faster. Saturated fat is mainly found in animal foods like meat, butter, tallow, ghee, duck fat, bacon fat but a few plant foods are also high in saturated fats, such as coconut oil, avocado and palm kernel oil. Saturated fats are necessary for absorption of certain vitamins, calcium uptake, immune function, and cell membrane structure. Saturated Fats only mildly elevate Large LDL, a benign subtype of LDL that is not associated with heart disease. Eating saturated fats raises blood levels of HDL (the “good”) cholesterol, which should lower your risk of heart disease. Saturated fats found in butter and coconut oil (myristic acid and lauric acid) play key roles in immune health. 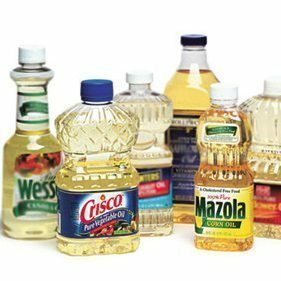 Trans fatty acids, more commonly called trans fats, are made by heating liquid vegetable oils in the presence of hydrogen gas and a catalyst, a process called hydrogenation. 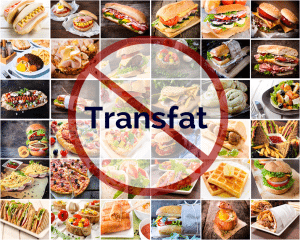 Transfats can be found in fast food, cookies, doughnut, margerine and other processed foods. Can have harmful health effects even in small amounts – for each additional 2 percent of calories from trans fat consumed daily, the risk of coronary heart disease increases by 23 percent. cholesterol, the small, dense cholesterol that causes heart attacks. Any excess carbohydrates that the body doesn’t immediately use for energy is converted to fat to be stored for future energy. If you are constantly feeding your body quick energy in the form of carbs, it never taps into this stored energy (fat) and fat accumulates. carbohydrates. In this way, it is much more logical to understand that excess carbohydrates, not excess fats, cause weight gain. Eating good fat increase the fat-burning hormone adinopectin that enhances your metabolism to burn fats and curb your appetite. Coconut oil is rich is lauric and caprylic acid. These power house fatty acids have antifungal, antibacterial and antiviral effects. What are the best fats to use for cooking? Unsaturated fats, especially polyunsaturated fats, contain many double bonds and react with oxygen during high heat cooking; they form toxic byproducts and go rancid. 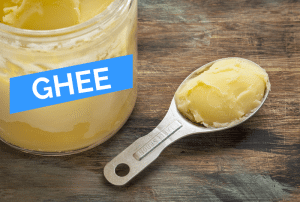 For high-heat cooking, saturated fats like coconut oil, palm oil, butter, ghee are the best choice because they are more stable and don’t react with oxygen as easily. smoothies, eat them as a snack (1 oz)m use them as crust or fish or meats. Enjoy grass fed or sustainably raised animal products (I recommend the Environmental Working Group’s Meat Eater’s Guide to eating good quality animal products that are good for you and good for the planet). supplement with 500 to 1,000 milligrams of omega-3 fats (a ratio of roughly 300 EPA and 200 DHA is ideal). If you are vegan, you can use Udos’ oil which is combination of all essential fatty acids( 3,6,9).